Combining fresh technology and a classic marketing strategy, Digital Word-of-Mouth Marketing is receiving unprecedented uptake among a wide range of markets. Digital Word-of-Mouth Marketing encapsulates a wider audience outside of mainstream social media channels, such as personal blogs and online discussion forums. Word-of-mouth marketing has been around for centuries. Before marketing really existed it would be common practice to choose a business or service provider based on information from other people. These referrals were the only way that businesses could bring in new customers aside from the ones who just happened to be walking by. Just think about a speakeasy during prohibition. Did they advertise? Definitely not. But someone found them and told their friends, who then told their friends and before they knew it the place was crowded with patrons on a Saturday night and business was booming. Whether it’s being used for marketing, sales or something else entirely, there’s nothing new about the power of word-of-mouth marketing. For millennia, oral communication has been the primary method of discussing and describing all matters of significance (and insignificance) in communities across the globe. But while the power of word-of-mouth marketing remains unchanged, the means in which we take advantage of it has. The internet, above all, has radically transformed how we utilize word-of-mouth messaging as a means of marketing. 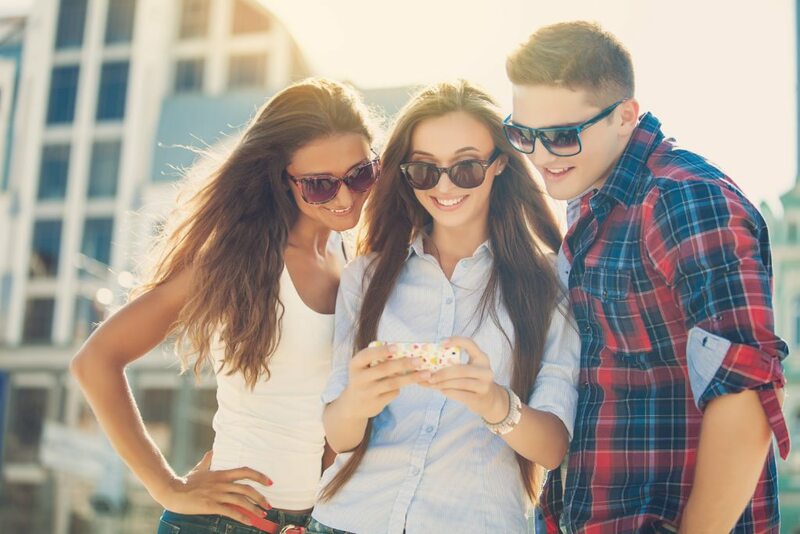 Enter the age of Digital Word-of-Mouth Marketing. When it comes to making buying decisions, people trust information from their family and friends more than any other form of information. They turn to their community for recommendations before purchasing any kind of good or service. Consumers will default to the opinions of their friends, family, colleagues and social peers with far greater frequency than they’ll listen to even the most polished or compelling marketing pitch. And to be fair, why wouldn’t they? With the amount of content (digital or otherwise) besieging consumers on a daily basis, how can they be expected to distinguish the good from the bad or the false from the true? It’s no wonder people like to default to word-of-mouth; it jumps out like a light on a moonless night. However, the evolution of the internet coupled with the meteoric rise of social media use in the last decade has catapulted traditionally private word-of-mouth exchanges into the public domain. Now instead of picking up the phone to call a colleague or going to get coffee with a trusted friend, consumers (especially Millennials) are hitting up blogs, firing out Tweets, creating threads on Reddit or accessing consumer-advocacy websites to get purchase-related questions answered. Whether the product to be acquired is big ticket or small, consumers are turning to the internet (particularly social networks) as a source for trusted opinions, reviews and advice more frequently than ever before. The proliferation of digital discourse is radically changing the way in which agencies and in-house marketing departments do business. For marketers, this is the first time we have been able to readily plug-in to the real, uncultivated, word-of-mouth conversations of the consumer. Concerns, questions, opinions, likes, dislikes — these have all been pushed into the public space, leaving marketers with a goldmine of information ripe for exploration and — sinister as it may sound — exploitation. The successful mining of this data is allowing aggressive digital marketers to quickly predict where their target audiences are headed. They can tap into open communities like Twitter, Pinterest, and Facebook to see what a wide array of people are talking about, while collecting invaluable facts and figures along the way. Ten years ago, this kind of consumer information would not only be far more costly and cumbersome to obtain, it would almost assuredly be gathered using tired market research techniques. These techniques — try as they might — don’t offer the same truthful transparency of naturally occurring word-of-mouth. Today, marketers can obtain real-time insights by using social media to tap the word-of-mouth musings of nearly any demographic they might be trying to reach across the globe. Big change is coming. The overgrown old-growth of the digital marketing space is slowly burning to the ground, and with its departure new opportunities are springing forth thanks to numerous emerging technologies. Moving forward, digital word-of-mouth marketing presence will be where the value is in marketing online, but it can also be the downfall of a brand if not monitored and managed carefully. Just look at all the ways social media interactions can go wrong in a hurry. This is why digital word-of-mouth is so much more powerful (and sometimes dangerous) than the traditional, face-to-face method. While clicks and impressions are still relevant today, they will become progressively less important in the years ahead when it comes to measuring the health of campaigns. As the tools and methods for measurement become even more refined, digital marketing strategists (and their clients) will become far more focused on evaluating word-of-mouth presence. Sooner or later, buzz — upvotes, likes, pins, shares, retweets and days trending — will become the focal statistical indication of strategic success. Acknowledging this impending transition, coupled with a willingness to get ahead of the curve, will come as a major boon to digital marketers with the foresight to see the writing on the wall of the great bazaar that is the internet. So now you know that the bulk of word-of-mouth referrals are happening on the internet, in plain sight. But what if you’re having a hard time generating those referrals from your customer base or need to build a customer base in the first place? You can’t really expect a lot of buzz about your business if you’re not doing anything buzz-worthy. It’s like businesses who send out press releases to anyone and everyone about the most mundane happenings. Those businesses aren’t going to get much press, but they’ll likely tick off a few journalists on the way. Something similar happens when your business does business in a mundane, or even detrimental, way. 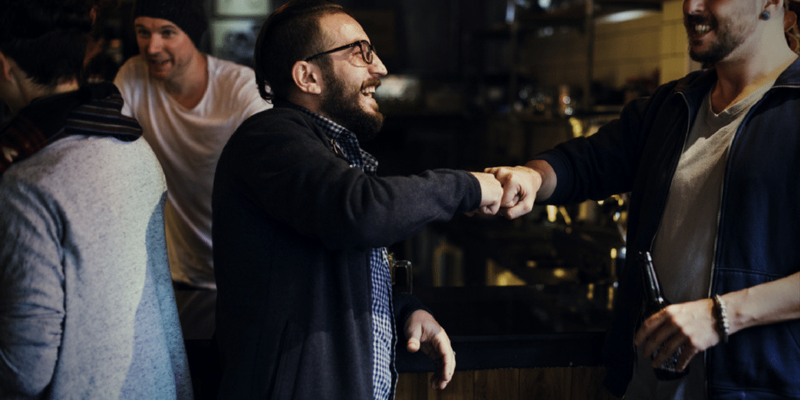 A large part of digital word-of-mouth marketing these days is customers (or even prospective customers) sharing content that the company made available to them. It makes it easy for a customer to tell their network why they like a product or service, without having to put in much energy. So if you’re not producing engaging content, you’re really missing out here. Your first step towards more word-of-mouth referrals begins with determining what your company does really well. If you’re struggling to come up with something, your problem runs deeper than marketing, and you may want to work with our team to develop strong messaging and positioning. But, if you know what your strengths are, then it’s time to remind your customer base of them on a regular basis, so they feel inspired to share what they are with their network. Ready to capitalize on the power of digital word-of-mouth marketing? Contact TPM today and discover how we can help you.